Convenience – Using your own gym means you can exercise when you want in the comfort and privacy of your own home. There’s zero travel involved, you can work out or relax to your own taste in music and there’s no need to pre-book. You can kit out your gym or yoga studio to look like the real thing too. A wide of range of equipment is easily available to buy, from a simple punch bag or yoga mat to sophisticated running machines and cross-trainers. Check out the latest equipment here. Investment - Brits waste £37 million a year on unused gym membership. If you’re one of the thousands who pay out each month for a costly membership that you rarely use, but you want to get fit, investing in your own garden gym makes sense. A custom-built space in which to exercise can also be a wise financial move if you ever plan to sell your home. Property experts claim gyms can add between 5 and 7 per cent to a house price and could get a house sale moving. 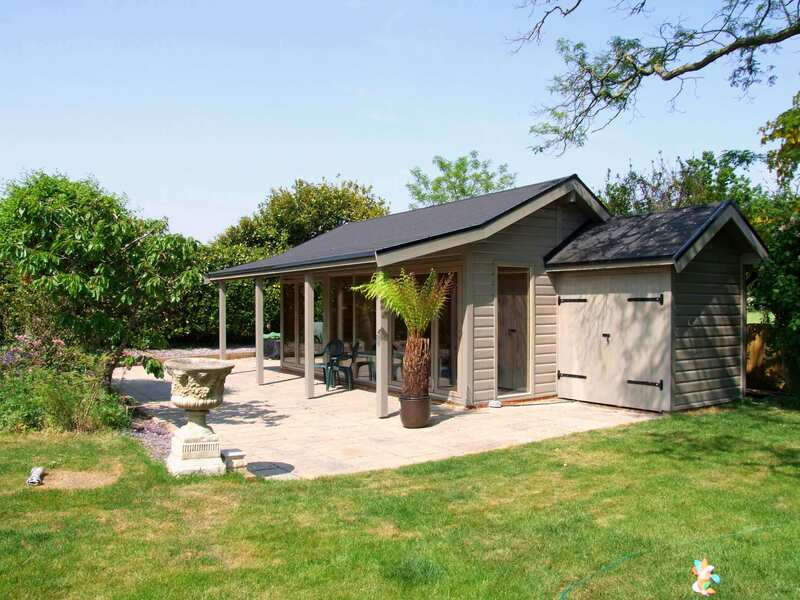 Norwegian Log’s stylish Scandinavian-style buildings are made of high quality solid log with bi-fold doors as standard on contemporary designs – all on-trend features that are proving popular in today’s property market. With sizes from 5m x 3m, the firm’s log buildings are ideal for complete home gyms, with options for shower facilities and even a spa. Ambience – Working out and cooling down in a calm environment is imperative if you want to make the most of your fitness regime. Gyms made from natural materials are ideal. Norwegian Log’s range has effective natural insulation that keeps a gym naturally cool in the summer and cosy in winter, and the beneficial acoustic qualities of log mean noise is kept to a minimum. Perfect for a quiet space in which to relax or meditate. 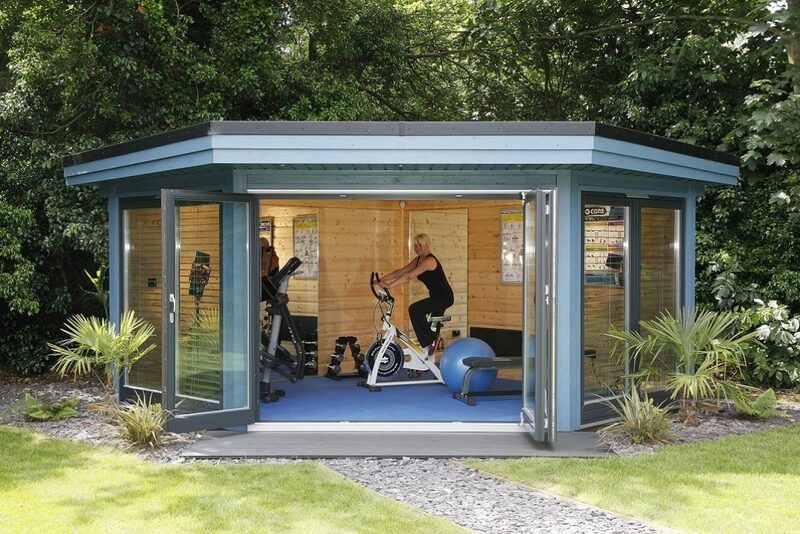 Flexibility – For many, spare space at home is limited so a brilliant solution is a garden room gym. A draught-free garden gym, just yards from your own back door, can double up as a chill out zone, music room, art studio or even a spare sleepover space when relatives stay. The choice is yours…Norwegian Log offers a range of traditional and contemporary style gyms that can be conveniently sited in your garden. Many styles do not require planning permission and delivery can be within weeks. Fun – Finally, if fitness is your thing, then what could be more fun than having your own gym. Warm up and down with a stroll across the garden, invite your friends over for a Pilates session but most importantly, enjoy!